Our very own Hop + Grain small-batch starter kit. 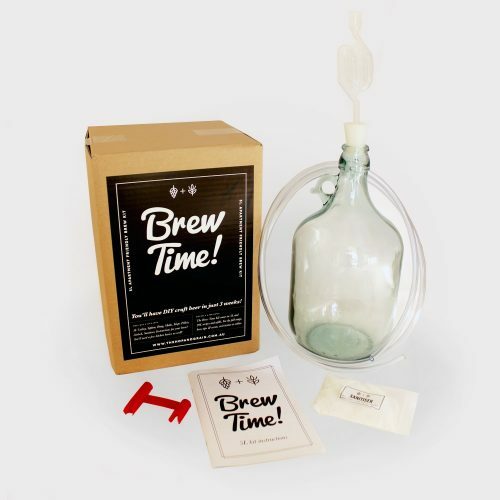 This apartment friendly kit needs next to no storage space, and introduces brewers to “extract brewing”, a slightly more in-depth brewing method than the 23L kit, which makes it perfect for beer connoisseurs who wan’t to learn the ins and outs of brewing and don’t mind starting small. The starter kit comes with your choice of one of our 5L kit recipes: Pale Ale, IPA, Stout, Blonde Ale, Saison or Cider. 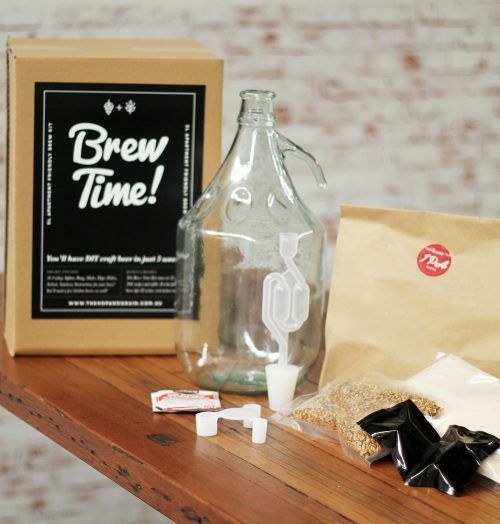 Once you’ve mastered the process with a brew or two using our refill kits, you can move on to formulating your own house brews – feel free to ask us for tips or for a full run down attend one of our intermediate brewing classes.